Go here and type “facebook report.” What you get in return is a treasure trove of statistical insights about your Facebook profile, which is certain to send you into a narcissistic spiral you’ll never recover from. Wanna know how many links, photos and updates you posted? 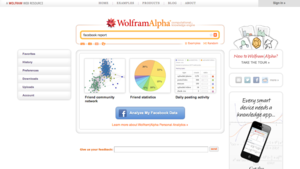 Wolfram’s got all that. Curious what time of day you post the most? 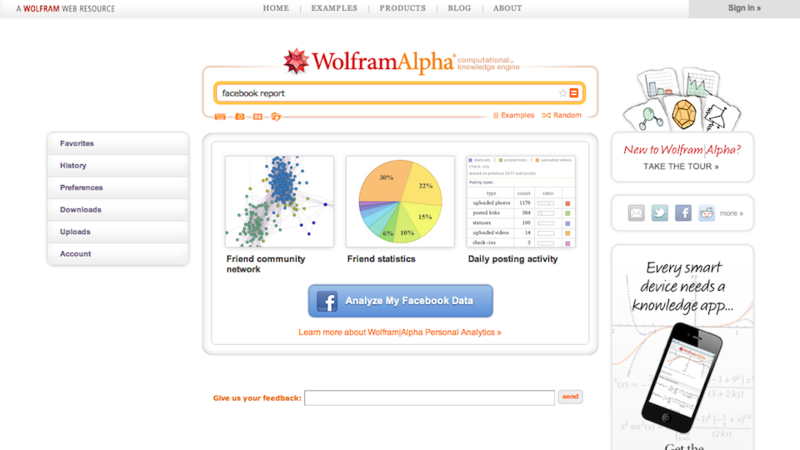 Wolfram will tell you that too? Or what crappy Facebook apps do you use the most? Right, it’s that virtual poker app your account is robo-spamming your friends about. And no analytic feature would be complete without a word cloud?